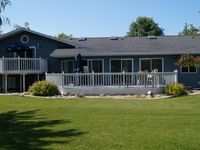 80 ft Lake front on the East Shore Of Lake Winnebago!! AMAZING sunsets!! Property 1: 80 ft Lake front on the East Shore Of Lake Winnebago!! AMAZING sunsets!! Charming Neenah House w/ Porch on Lake Winnebago! Property 7: Charming Neenah House w/ Porch on Lake Winnebago! NEW! Waterfront Lake Winnebago w/ Views & Dock! Property 12: NEW! Waterfront Lake Winnebago w/ Views & Dock! Perfect Corporate Rental for Eaa Airventure! Property 23: Perfect Corporate Rental for Eaa Airventure! Room for 6 in nice neighborhood near the lake! Property 34: Room for 6 in nice neighborhood near the lake! 4 Bedroom, 3 1/2 Bath Newer home - only 17 minutes from EAA! Property 37: 4 Bedroom, 3 1/2 Bath Newer home - only 17 minutes from EAA! Directly over approach for EAA runways! 4 miles from Sea Plane Base! Property 39: Directly over approach for EAA runways! 4 miles from Sea Plane Base! The house was newly remodeled, spacious and clean. It was a good home base after a long day. We appreciated the kitchen for breakfasts and making lunches and walking across the street for dinner. To future renter bring shower soap and shampoo. Great house for our family getaway!